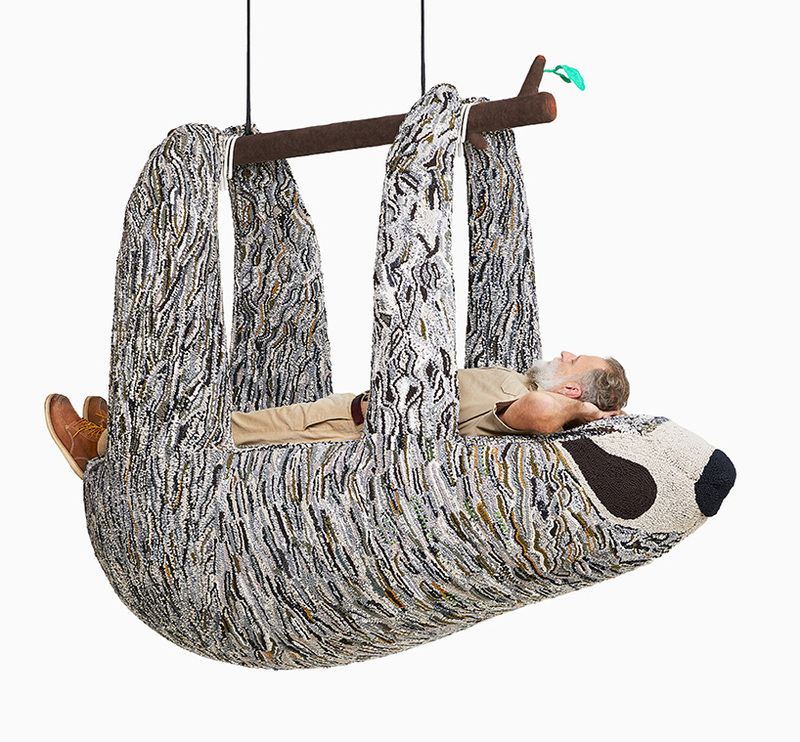 Sculptural seating pods using eco-friendly and recycled materials depicting endangered species bring awareness and creation into one unique design. 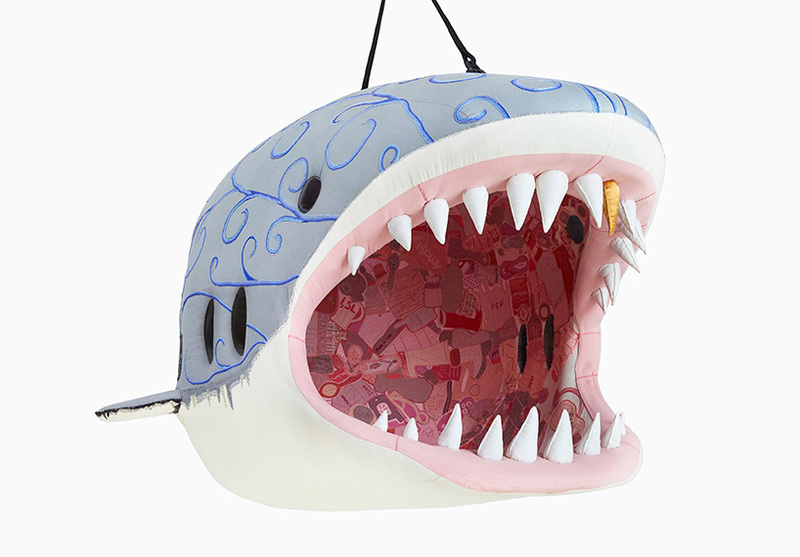 South African artist Porky Hefer showcased his designs for Design Miami / Basel 2018. The endangered species consisted of an oversized orangutan, polar bear, sloth, blue whale, and great white shark. He made use of traditional handmade textile and crafting techniques similar to making a handmade stuffed animal or blanket for a newborn baby or child. The intention was to steer the focus away from machinery and maintain an emphasis on the warmth and innocence that comes with making handcrafted items for those you care about. “I think it’s important to show what beauty humans are capable of with their hands rather than the destructive mass production that technology is driving the modern consumerist society towards,” Hefer says. Each of the pods are like adult-sized stuffed animals but with a couple of differences. The pods are made using environmentally sustainable materials that are hand-worked by artisans in Cape Town. 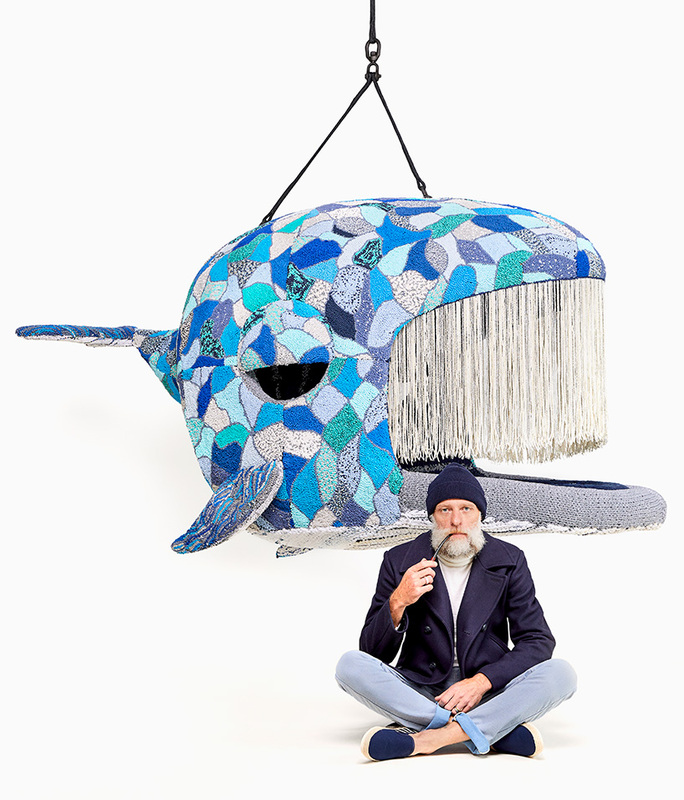 Hefer worked closely with textile artist Ronel Jordaan, Craft Collectives Heart Works and Mielie to transform the animals into giant, tactile sculptures. Some of the techniques include crochet, felt, stitch and embroidery with unique embellishments added to the designs. Some of the creatures can be attached to the ceiling. The suspended pods hang like bubble chairs able to be used like floating beds or lounge chairs for sleeping, reading or relaxation. The pods were presented by SFA advisory and southern guild. Those made for the endangered series are available for sale in a limited edition of three per animal, with 25% of the sales proceeds supporting actor Leonardo Dicaprio Foundation’s wildlife conservation programs. “It’s the future of the next generation that I am concerned about and the state of the world they inherit. Looking after our animals and earth is one thing but also the preservation of human skills, crafts and traditions,” Hefer concludes.